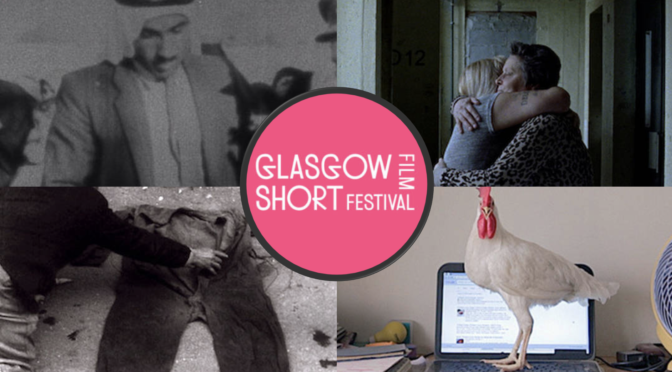 The showcase FOUR WALLS at GSFF – part of the Bill Douglas Award – explores themes of housing, identified in each as a fundamental human right. Each probes this idea in a uniquely appealing way. The programme as a whole is very strong; it is engaging and thought provoking. Some films such as the opener RUSSA and THE HOUSES WE WERE are more obvious fits with the theme, while I SIGNED THE PETITION deals with a more metaphorical concept of home and raises questions of nationhood in relation the Palestine/Israel debate. Opening the night was RUSSA. Returning home from prison on weekend release, the film’s protagonist Russa is upset that two of the high rise flats surrounding her own home have been pulled down. The flat she lives in will probably be the next to go. The film asks what progress really is, and what is lost when people’s homes are destroyed. As Russa returns to prison at the end of the film, the fate of the flats, although not definite, seems clear. This short is defined by its slow pace and long lingering shots which stand in opposition to the fast-paced destruction threatened by future demolitions. Similarly to RUSSA, THE HOUSES WE WERE (LA CASE CHE ERAVAMO) depicts deprivation and poverty, primarily through black and white archival footage. Director Arianna Lodeserto presents footage related to past housing crises in Rome to highlight the modern day problem of housing in both Rome and other major cities across the world. The current gentrification of cities recalls the lack of social housing in Rome. Lodeserto’s arrangement of fragmented archival shots link past and present, stressing that the housing problems in Rome are not as distant as we may think. Lodeserto is respectful of the images used and, despite risks, the archival journey is not a confusing one – it creates an evocative criticism of capitalism in urban cities. She creates a format which is fresh and telling, and although there is no conventional “voice of god” narration, the film does not need it. An interesting Q&A with Lodeserto at the end of the screening highlighted the desperate lack of housing for immigrants in Italy, most of who do not have basic living requirements. The modern day problem is clearly troubling for Lodeserto and by using the past to highlight the issues of the present she creates a beautiful film which is both poignant and troubling. I SIGNED THE PETITION is unusual in format but successful in its purpose. The film is narrated by a phone call between two men discussing the impact of signing a petition to stop Radiohead perform in Israel. I SIGNED THE PETITION explores the issue of Palestine and Israel and scattered between footage of the interior of a “normal” home are shots of narrow streets in the West Bank/Gaza and archive shots of the displacement of the Palestinians. The short opens up a conversation about the contentious issue of “homeland” and what it means. There is elegant use of the camera, and the dialogue heard through the phone call provides honesty and light relief to a problematic topic. CAUCASUS (KAUKAZAS) was the weakest film of the five. Although a short, the pace was very slow and the characters were not developed to their fullest. The film was engaging in its portrayal of mother/daughter relationships and the atmosphere of anxiety was well reflected in the film’s colour palette. CAUCASUS seemed slightly out of place in the showcase, and while not unenjoyable, felt like it was cut too short, even for a short film, raising more questions than answers. The real treat of the collection was left until last. TUNGRUS is a delightfully funny short which heard the audience on the night burst into fits of sporadic laughter. Literally ruling the roost, the family’s 6-month-old pet rooster wreaks havoc in one family’s small flat in Mumbai. Originally bought as a plaything for the two family cats, the rooster terrorises their every moment, chasing them out of rooms and markings its territory. The interviews with this family make us feel like they are talking directly at us, and absorb the viewer in their familial rift: should they keep the pet or eat it? The film is well edited, and is a very enjoyable portrayal of one family’s life with their comedic pet. The diversity of all five short films is the true success of the showcase. Although not forced upon the viewer, the universality of housing problems, questions and issues are brought to the front of the mind, and remind us that something that can be considered so fundamental is not always a given.